From 2011to 2013 Jonathan Taggart and I spent two years travelling across Canada to find off-gridders and visit their homes. Sometimes we were able to stay with them as guests for a short period of time. Sometimes we were allowed to take photographs and record video and audio. 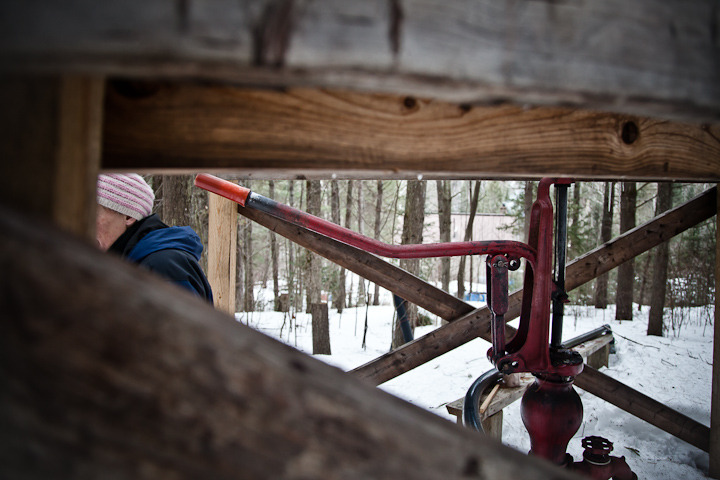 And sometimes we had the chance to practice off-grid living ourselves through short stays at off-grid cabins and homes. Altogether we visited about 100 homes and interviewed about 200 off-grid Canadians, as well as many American and British expats living in Canada. In sum we were able, thanks to their hospitality and openness, to find and meet off-gridders in every single province of territory of the second largest country on earth. This book and film is our story of our travels, and ultimately our narration of their experiences, their challenges, their solutions, their aspirations, their ways of life, and their own stories. To make our work possible Jon and I had to fly on dozens of planes, ride snowmobiles, paddle kayaks and canoes, don show-shoes, ride ATVs, sail boats, drive on ice roads and city streets, and bike and trek across many regions of our country. To render that kind of experience we wrote this book in the style of a travelogue. But these aren’t really the pages of a travel essay; ours is first and foremost a work of ethnography. 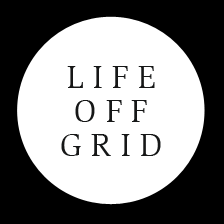 Interviews, observation, and participation into the day-to-day life of off-gridders have inspired us to reflect, interpret, and contextualize off-grid living in itself, but also (and perhaps more importantly) to question our collective, modern, on-grid way of life. Ideally, after reading this book anyone should understand much more deeply what we all usually take for granted about our modern condition in relation to comfort, convenience, and connectivity. There is a certain irony about our fieldwork. As Jon and I zigzagged from province to province to understand about simplicity, a more basic and Spartan life, and an alternative way of living with modern technology, we punctually lugged with us satchel bags and panniers of the latest visual and digital gadgets. Thanks to the material we collected, what we ended up producing in the year following our travels is a hybrid book that combines the written word together with sound clips, photography, and video. In keeping with the purpose of the Routledge Innovative Ethnography Series we offer our reader/viewer/listener our multiple creations, hoping that these will somehow reverberate and strike their imagination in meaningful ways. The website accompanying this book—hyperlinked and referenced throughout this book—will hopefully serve as a great source of information for everyone interested in sensuous, multimodal learning and a new way of doing research and of knowing. Both the book and the website are organized by province/territory. There are ten provinces and three territories in Canada, and therefore there are thirteen chapters to this book and thirteen main pages on the book’s website. Each of the chapters narrates our travels, describes our encounters with off-gridders, and reflects and analyzes the significance of various aspects of their practices and experiences. All the photos are shared to evoke a sense of what we witnessed, not as objective documentation. We chose photos that we liked: pictures that Jonathan took to animate our recollections and enliven your vicarious experience. The videos were produced with the same purpose of the photography and the writing: to tell a story, to allow viewers to “meet” characters and see their homes, as well as to listen to their narratives. Each medium seems to “speak” differently, and we hope you will enjoy the cacophony. It will become apparent to anyone, after reading as little as a few pages, that we have written this book for anyone who is interested in the topic. There isn’t a “general” public, of course, but we hope that our work will appeal well beyond the academy. Within the university there are several undergraduate and graduate classes that may appreciate our attempts to teach important lessons about technology, place, lifestyle, energy, sustainability, and everyday life. These are topics that cross the disciplinary boundaries of geography, cultural studies, sociology, and anthropology. They are subjects of interest to those keen on teaching and learning about the environment, about the contemporary home, about sense of place, material culture, skill, slow living, renewable resources, and much more. We also hope that our book will stimulate the sociological and geographic imagination of students enrolled in introductory courses and in qualitative research methods, especially ethnography.